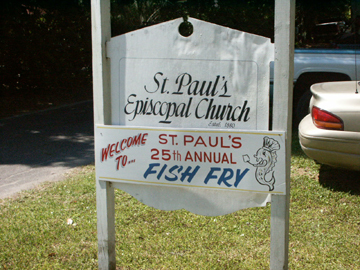 FEDERAL POINT -- Although temperatures reached 90 degrees on Saturday, more than 1,000 people spent their afternoon under the trees at St. Paul's Episcopal Church enjoying the church's annual fish fry and gospel sing. "I think this is one of our biggest," said Maria Reese as she hurried to fill up more tea pitchers. She must have been right. 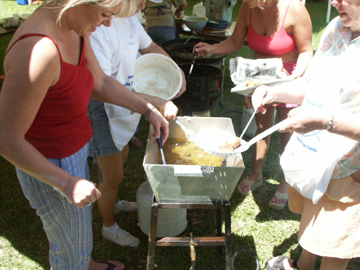 Final count was 700 pounds of fish fried up. 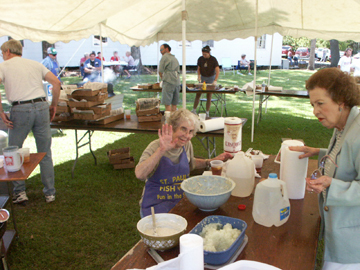 "We used a lot of potatoes, two or three hundred pounds," said Angie Seymore, fish fry chairman. How much cabbage went into the slaw was uncertain, but Seymore said Sunday only a small bag was left. "Bill Seymore will be using that to make sauerkraut and even that will be given away." 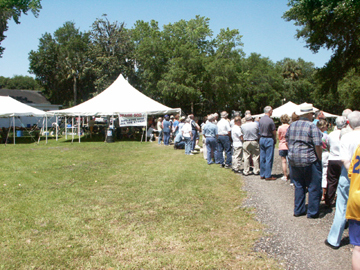 As Alonzo Mulberry of Palatka opened the gospel music line-up of singers and musicians, the food lines soon began to form and an assembly line of youth and adult workers from St. Paul's filled guests' plates with generous portions of fish, hushpuppies, coleslaw, french fries and clam chowder. 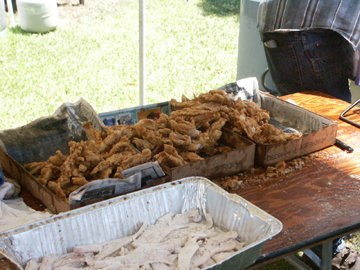 "Everybody gets their kids to come and help," said Seymore, who was full of praise for Rose Tenney's "kids" including Reggie Reis of Lakeland and Barry Tenney who had worked graveyard at Georgia-Pacific, gotten an hour's sleep and spent the rest of the day frying fish. 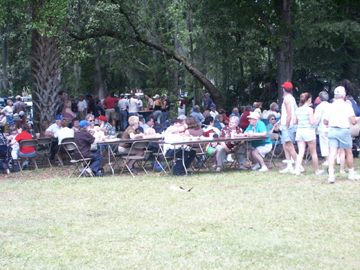 Volunteers at the oyster roast were busy the entire afternoon as visitors shucked and ate nearly 40 bushels of steamed oysters. 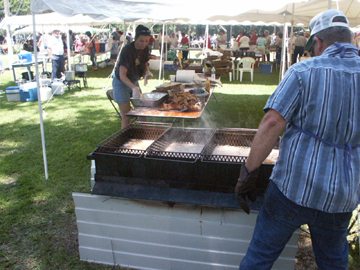 The oysters were prepared by Jon Mark DuPont and John Britton. 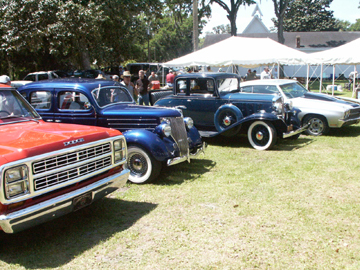 Singers came from as far away as Hinesville, Ga. and Tennessee to take part in this year's event which is held each year on the third Saturday in April. Del Brasiel was gospel sing chairman. 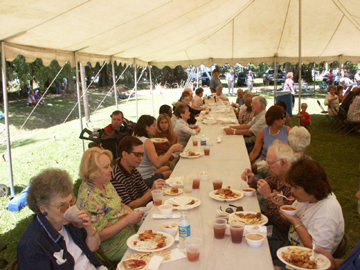 Proceeds from the event go toward camp expenses for the youth at the church and for the youth group's travel expenses to the Appalachian Mountains where they will take supplies and help repair homes for the elderly.